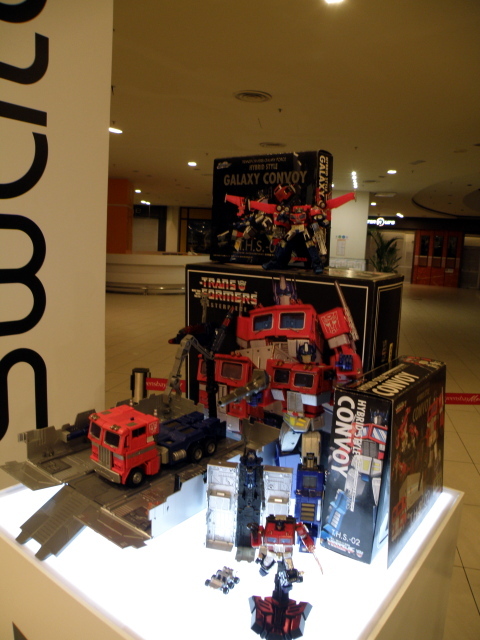 Transformers Convention preparation and teaser | Out of the box. My buddies in the TransMY have sweat it off by arranging the concourse in Queensbay Mall for the up coming convention this weekend from the 26th till 28th June 2009. 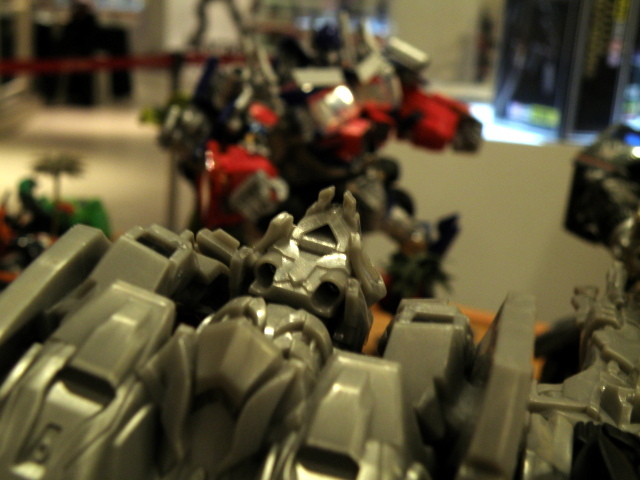 Masterpiece Prime and THS Prime showcase. 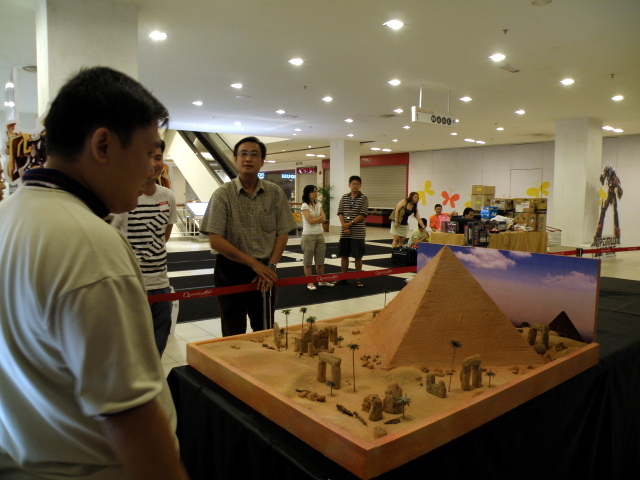 We have members from all around Malaysia contributing to make the event successful. 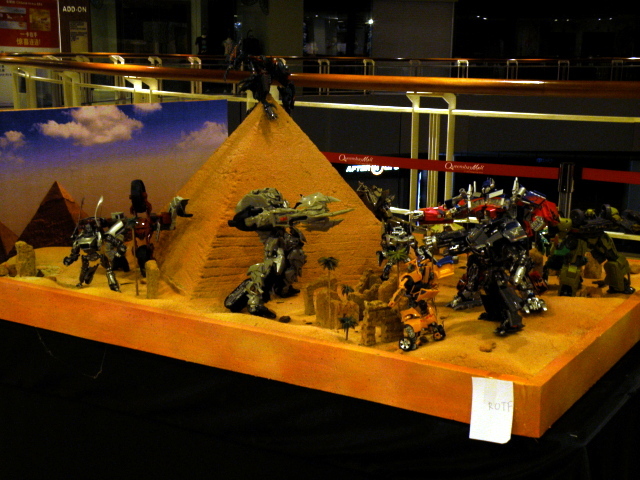 Some of our members has created a Pyramid desert diorama on the face off between good and evil. 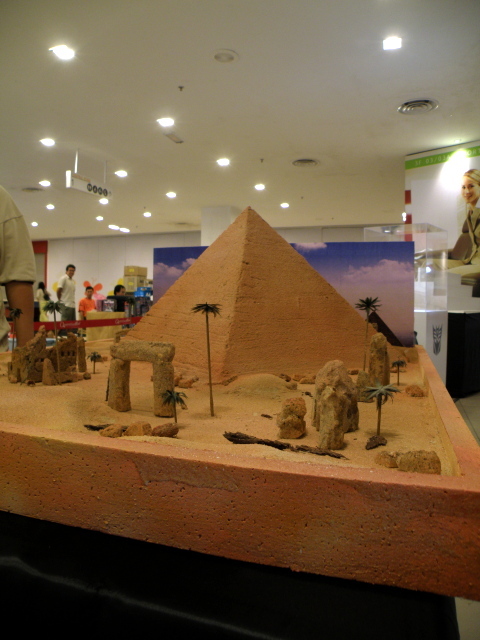 Original pyramid diorama without figures. 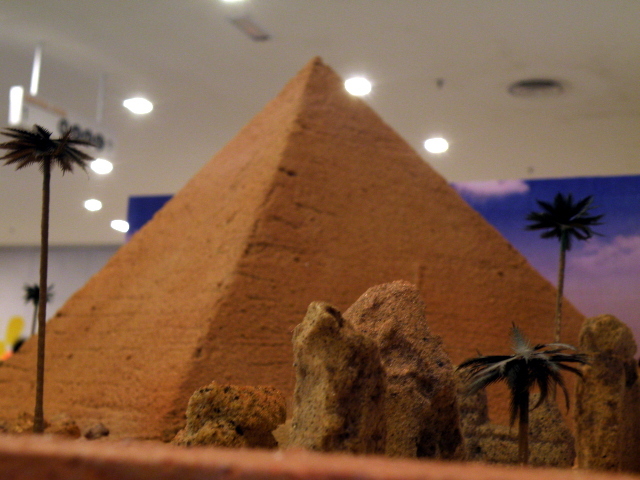 The details of the pyramid is improved by using actual sand and some detailing by adding desert vegetation. Close up shot of structures surrounding pyramid. Of cos a diorama is not complete without filling it with heroes and villian and everything in between. TransMY are trying to capture the essense of the climatic battle of Autobots and Decepticons in the Revenge of the Fallen, 2009 Transformers Movie. Desert climatical battle diorama of ROTF. 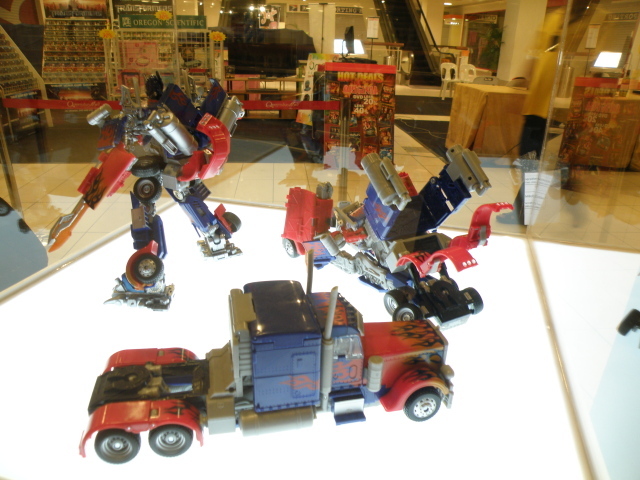 Other than the diorama, TransMY have setup other attraction on different Transformers toylines. 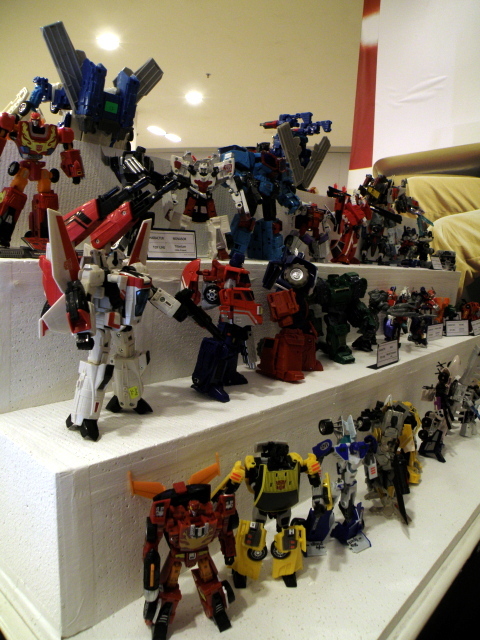 One of the common line is the Transformers Classics as well as the Transformers Henkei. 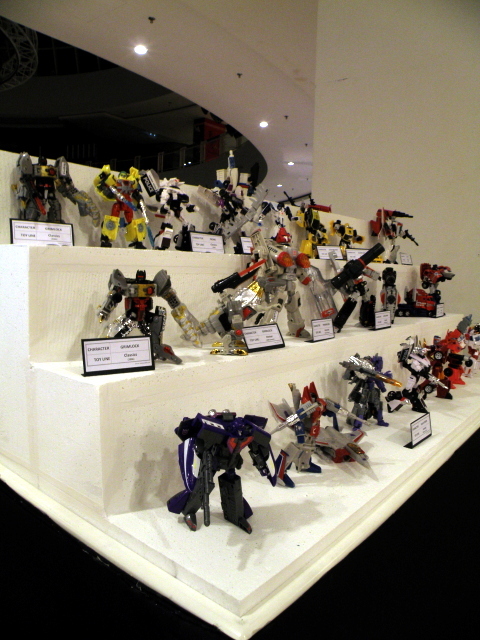 Transformers Henkei and Classic line up. Another line up of Henkei and Classics. ROTF Leader Class Prime show chase. There are many many more, which is best you go to Queensbay Mall and meet with the TransMY Crew there. Do take your friends and family along. This entry was posted in Announcements, My Hobbies, Social Event, Transformers and tagged autobot, convoy, cybertron, cyclonus, Decepticon, Deluxe Class, Destron, fire, G1, Galvatron, Generation 1, gimmick, Grimlock, Grimlock Animated, hasbro, hasbro transformers, henkei, jet, jetfire, leader class, optimus, optimus prime, review, ROTF, takara, takara tomy, takaratomy, target master, targetmaster, transformer, Transformers, transformers classic, Transformers Convention, transformers movie 2007, Transformers Universe, TransMY, Voyager Class by KarMeng. Bookmark the permalink.